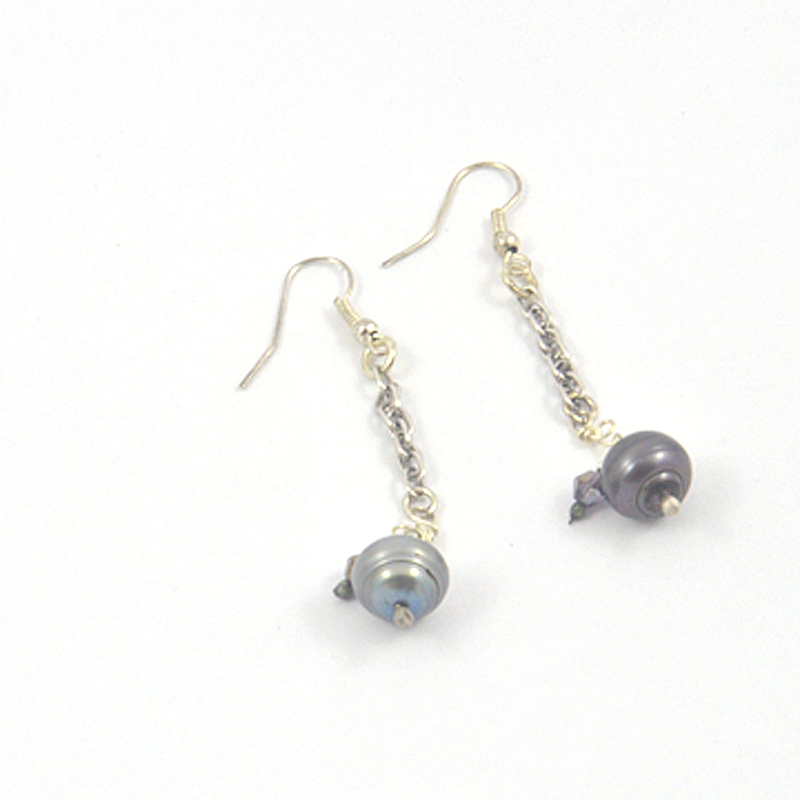 Ringed gray pearl earrings accented with amethyst crystal. The crystal next to the gray pearl dangles on a silver chain from silver ear wires. Beautiful ringed gray pearls dangle from a 1.5″ silver chain. The rings on the pearls separate a smaller end of the pearl from the larger end. 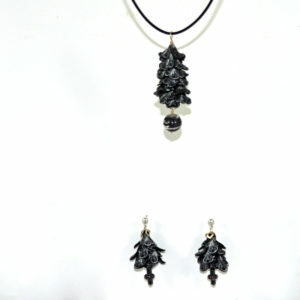 One pearl is slightly darker gray that the other adding interest to the design. An amethyst wire wrapped crystal accents each pearl. 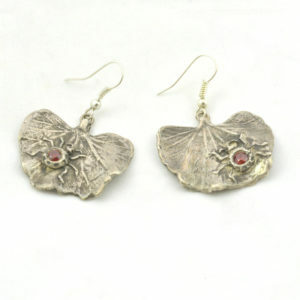 The total drop of 2″ makes an elegant earring. 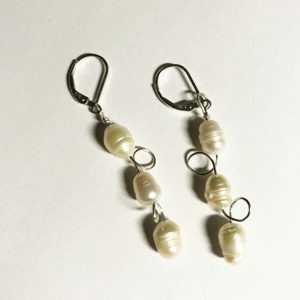 This versatile pair of pearl earrings dresses up or down depending on your event. Both the crystal and the pearl catch light reflections which adds sparkle to your wardrobe. 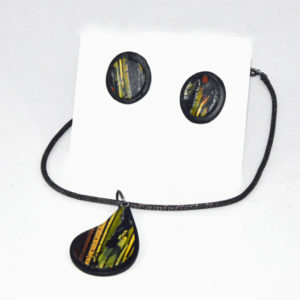 Linda made only one pair of these earrings.